In this week in crypto-gambling news, we’re bringing you two new fresh updates from the Bitcoin casino industry. Bitcasino, one of our top-ranking BTC casinos, recently added the Litecoin cryptocurrency on its platform after many users requested it. And for those who are looking forward to seeing new games on the market, Bitcoin-friendly software developer EvenBet just revealed a new type of online Poker game, one that you’ll hope to see soon across your favorite casinos. During the launch of its new platform, which made it the fastest loading gaming site online, Bitcasino went through a process of asking their player base for suggestions on what to include in their revamped website. Well, according to a recent update from the operator, Coingaming Group, the majority of the casino’s players have asked for Litecoin deposits and withdrawals during the feedback process. Being the ever-caring casino it is, Bitcasino obliged and added the coin to its list of currencies. The Coingaming Group’s philosophy has always been putting “customers at the centre of the universe” which is why the new altcoin was implemented in record time. Once only a Bitcoin operator, Bitcasino recently introduced Ethereum after demand from players – a move that helped the site improve the deposit rate by 22%. With Litecoin added to the picture, the casino is expecting even more transfers to follow, especially by existing players. If you want to check out the crypto options at the platform or its catalogue of over 1,400 games, feel free to use this link to visit Bitcasino. 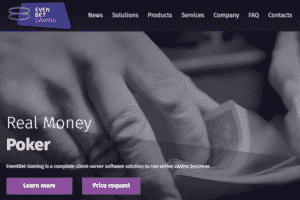 During one of the main events in the industry this year, the ICE 2019 in London, Bitcoin casino software developer EvenBet Gaming revealed a new product that will “make Poker great again”. The new Poker game is called the Double Chance Poker and it will soon find its way into EvenBet’s network of Bitcoin operators, a network that includes a variety of brands, including Anonymous Casino. The new product will reportedly allow players to have more chances to win in a tournament game or any single cash game they want to play. With the Double Chance Poker, Poker pros and beginners alike will have an opportunity to join a parallel game while playing for a minimal ante in cases when they don’t want to increase their bet pre-flop. And if a winner is proclaimed early during the pre-flop stage, they will also get a chance to duplicate their winnings. With the new variant, players will get to stay in the game longer, see more flops, and fold less, but also enjoy more options in fast-fold games. The software maker has already released a new demo online that can be played directly or downloaded but is yet to distribute the game to its operators. If you are interested in finding out when the variant will become available for cryptocurrency playing, feel free to sign up at Anonymous Casino to become one of the first to get notified.